Good morning! 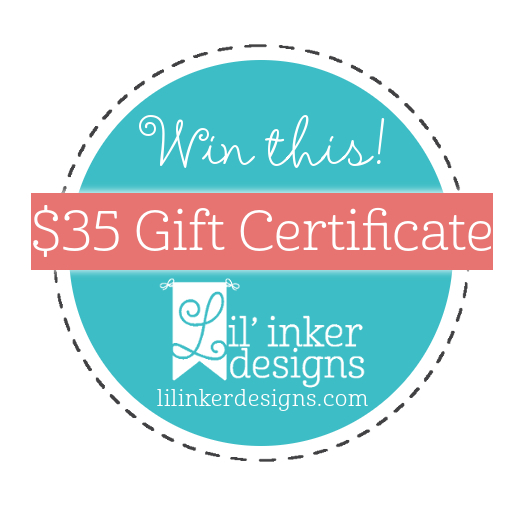 It's blog hop time again for the CardMaker Blog Design Team - today we are partnering up with another one of my favorite companies (and yet another of my current Design Teams) - Lil' Inker Designs! You should have arrived here from Jen Carter - full blog hop is at the bottom so you can check out every stop. I made a couple simple thank you cards combining some of the most recent release with some previously released items! 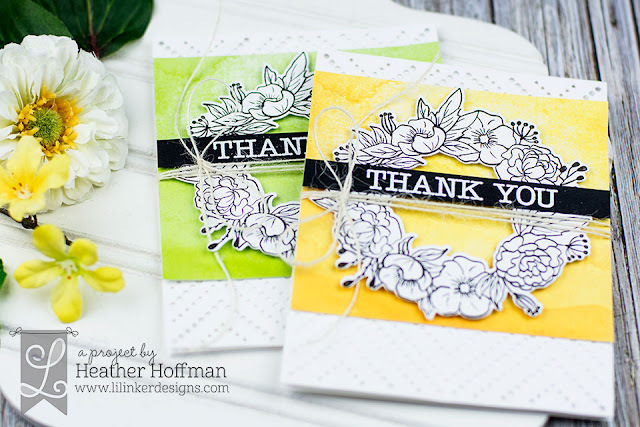 I absolutely love the new Wreath of Roses Stamp Set - and while it is lovely colored, once I started putting these together I loved the simple intricacy of them on these cards. So lovely to have a stamped image that can stand on it's own with no coloring! I used the coordinating Wreath of Roses Dies to cut them out, using my MISTI to line them up perfectly. I used Diamond Lace Cover Up Die to cut the background out of white cardstock. Layered on my white cardbase this gave a great bit of texture without being overwhelming in the entire design. Sentiment is from Mom and Dad Sentiments Stamp Set, heat embossed in white on a strip of black cardstock. Some pretty pattern paper from Lawn Fawn make a great backing for the wreaths so that they pop. I adhered the wreath and sentiment with foam tape, then adhered the other layers leaving the edges loose and curling them up a bit for dimension. A bit of jute twine finish these off! Your next stop along the hop is Lisa Henke - but make sure and leave a comment before you leave. Here is the prize that is up for grabs! YAY! Such a great idea leaving the image uncolored---the black-and-white wreath is beautiful against the colored background! Love the black and white wreaths against the watercolored panel - so elegant and classic. Especially when you added the sentiment strip and the twine. Lovely!!! Heather - these are so stunning I sort of have no words!!!!!!!! WOWZA!!!! So impressive. Seriously - my jaw is kinda hanging open, LOL!!!!! I love how you left the blooms uncolored...gorgeous cards! Love the Wreath of Roses stamp set, it is such a pretty set. I love that you used the colour on the background for these, makes the wreath pop. A wonderful set of cards Heather. great cards in wonderful colors! Love the layering, colors and textures! Beautiful cards! The wreath is so pretty! Just beautiful. Love that wreath. The Wreath of Roses stamp set is stunning. Beautiful cards. So simple, yet so elegant - as with all of your designs. Thanks for sharing! Your cards are lovely. The colors, the dies used, everything. Thanks for sharing. My wish list of cover dies is growing! Great cards! Such gorgeous cards!! Very elegant too! These are AMAZING! I love how you combined everything and that bit of twine. Gorgeous! Your choice of black & white with those bold colors is just perfect! LOVE these wonderful cards! The black & white flowers look totally awesome. A great design idea! Very pretty with the uncolored wreath and the colorful background. Beautiful card design! I like how you kept the wreath all white and made it pop with the background of color. Just beautiful, Heather! I the texture and simple watercolor. The twine is just the icing on the cake. Love how you left the wreath uncolored. 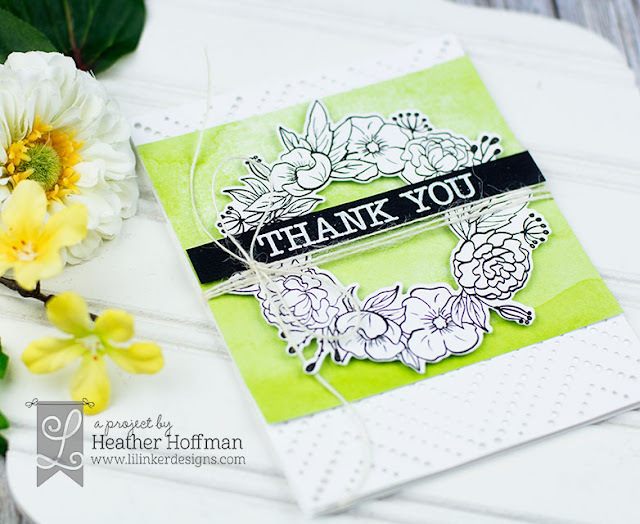 Wow Heather, your cards are just stunning!!! 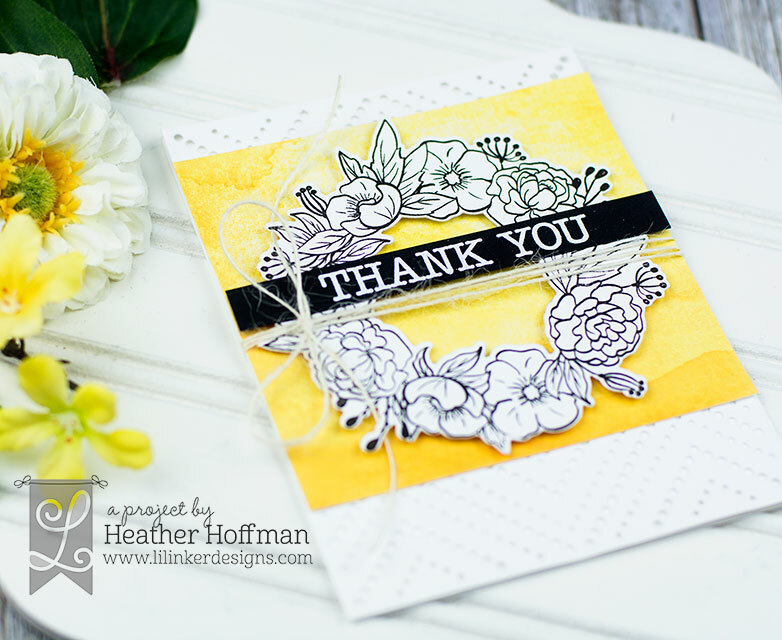 A crisp clean thank you card is always a perfect touch ! The Spring colors add a joyous feeling. Love,love love! beautiful! love the wreaths, colors and the background die! Nice cards. Like how you left the flowers uncolored and set them on the colored background. Just gorgeous! Love the background die so much! Those wreaths are stunning too!! Just love these cards! I love your cards! Thanks for the inspiration and for the opportunity to win! Wow! Really gorgeous cards. Love the die cut background. In fact i love all the cover up dies by Lil Inker. They are just amazing. Also love the plain wreath against the gorgeous colored panel. Cute cards! You could make a card set with this simple design. Gorgeous cards! I just LOVE that wreath!!!! !